This lightly tinted green Mason Jar comes filled to the brim with fall charm. 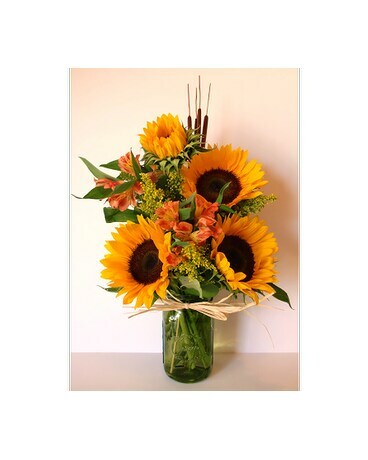 Large, full sunflowers are accented by beautiful fall Peruvian lilies. Golden solidago and cattails provide the finishing touch the this tall drink of fall.